Pages etc. : xii+644p., full of col. pls., (7)maps., bib., 29cm. 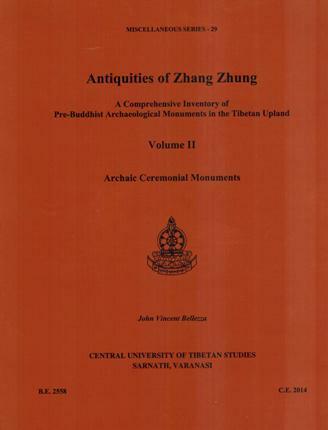 This book is the first comprehensive inventory of pre-Buddhist monuments in western Tibet. It is based on actual surveys of the sites and the archaeological evidence by the author. This empirical approach to Tibetan history is a welcome addition to textual sources of information, for it furnishes a means for independently assessing the content and tone of literary materials. One of the most remarkable achievements of the author is to demonstrate how highly developed western Tibet had become before the advent of Buddhism in the seventh century CE. It appears that the trappings of early civilization extended well beyond locations recorded in Buddhist and Bon literature to encompass much of Tibet north and west of Lhasa.